Like the world around us 3 Blind Mice is evolving! We are proud to announce the launch of a new company logo as part of the ongoing evolution of the 3 Blind Mice brand. After several months of tweaking we arrived at our final design. While our company look may have changed, we assure you that the world class service and quality you have grown to expect will remain unchanged! Our current branding has been going strong for years. 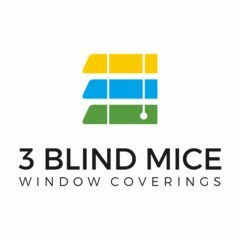 With the release of our new updated website getting closer, we saw this as a great opportunity to give 3 Blind Mice a new look. We hope you like this new look and feel for 3 Blind Mice. Look out for more updates—like a brand new website coming up this summer— as we continue to try to better serve our customer with clean, modern, user-friendly experience.